Without mentioning his opponent by name, President Obama took clear political aim at Mitt Romney on Monday, continuing a line of attack from his campaign that Romney would not have given the go-ahead to the mission that ended in the death of Osama bin Laden . Asked about Romney's comments from earlier this morning belittling how difficult the decision to go after bin Laden may have been, the president said "As far as my personal role and what other folks would do, I'd just recommend that everybody take a look at people's previous statements in terms of whether they thought it was appropriate to go into Pakistan and take out bin Laden. I assume that people meant what they said when they said it. That's been at least my practice." The president was alluding to Romney's 2007 comments about bin Laden that "it's not worth moving heaven and earth and spending billions of dollars just trying to catch one person." The Obama campaign last Friday released a web ad suggestion that this sentence suggests he would not have been willing to take the risk and order Navy SEALs to cross into Pakistan and infiltrate bin Laden's Abbotabad compound. Continued the president, "I said that I'd go after bin Laden if we had a clear shot at him and I did. If there are others who have said one thing and now suggest they'd do something else, then I'd go ahead and let them explain it." The president was also referring to Romney's reaction in 2007 after then-Senator Obama said "if we have actionable intelligence about high-value terrorist targets and President Musharraf won't act, we will." Romney at the time called those comments "ill-timed" and "ill-considered" and said "there is a war being waged by terrorists of different types and nature across the world. We want, as a civilized world, to participate with other nations in this civilized effort to help those nations reject the extreme with them." 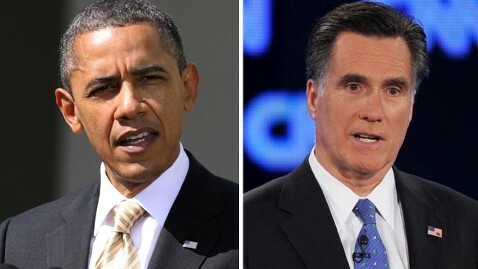 Romney, incidentally, was hardly the only politician taking issue with then-Senator Obama's comments about Pakistan. Then-Senator Hillary Clinton, D-NY, called the remarks "irresponsible and frankly naive" in an interview with Iowa's Quad City Times, and then-Senator Joe Biden, D-Del., said "the last thing you want to do is telegraph to the folks in Pakistan that we are about to violate their sovereignty." The Romney campaign argues that his 2007 comments about "not moving heaven and earth" to get bin Laden are being unfairly twisted by the president, that the full context indicates that he was saying the war against the extremist Islamist movement was bigger than just one man - not that he wouldn't go after that one man. According to the Associated Press's Liz Sidoti, Romney said capturing bin Laden would made the U.S. safer by only "a small percentage" resulting in "a very insignificant increase in safety" since someone else would take bin Laden's place. At the time, however, Romney's then-primary rival Sen. John McCain, R-Ariz., said in response to Romney's comment that "it takes a degree of naiveté to think he's [bin Laden] not an element in the struggle against radical Islam." After McCain hit him for the remark, Romney backtracked from it at a debate, saying "We'll move everything to get him. But I don't want to buy into the Democratic pitch, that this is all about one person, Osama bin Laden. Because after we get him, there's going to be another and another….This is the worldwide jihadist effort to try and cause the collapse of all moderate Islamic governments and replace them with a caliphate." In recent months, Romney has been trying to belittle what was by all accounts a difficult decision for President Obama to order the Navy SEAL operation during which bin Laden was killed one year ago tomorrow. Many members of the president's senior national security apparatus, including Vice President Biden, then-Secretary of Defense Bob Gates, and director of the National Counter Terrorism Center Michael Leiter all questioned whether the intelligence was good enough to merit the order. General James "Hoss" Cartwright favored a bomb strike. Romney today said that " even Jimmy Carter would have given that order " and said "of course" he would have done so. The order Carter gave to carry out the doomed attempt to rescue the Iranian hostages, in 1980, was one of the reasons Gates - who was working at the CIA at the time - was reluctant to support the mission. The president made his remarks in the East Room of the White House at a joint appearance with Japanese Prime Minister Yoshihiko Noda.